Dr. Xing Xie is currently a principal research manager in Microsoft Research Asia, and a guest Ph.D advisor for the University of Science and Technology of China. He received his B.S. and Ph.D. degrees in Computer Science from the University of Science and Technology of China in 1996 and 2001, respectively. He joined Microsoft Research Asia in July 2001, working on data mining, social computing and ubiquitous computing. During the past years, he has published over 250 referred journal and conference papers, such as ACM Transactions on Intelligent Systems and Technology, ACM Transactions on the Web, ACM/Springer Multimedia Systems Journal, IEEE Transactions on Knowledge and Data Engineering, IEEE Transactions on Mobile Computing, IEEE Transactions on Multimedia, etc. He has more than 50 patents filed or granted. He has been invited to give keynote speeches at HHME 2018, ASONAM 2017, MobiQuitous 2016, SocInfo 2015, Socialinformatics 2015, GbR 2015, W2GIS 2011, HotDB 2012, SRSM 2012, etc. He currently serves on the editorial boards of ACM Transactions on Social Computing (TSC), ACM Transactions on Intelligent Systems and Technology (TIST), Proceedings of the ACM on Interactive, Mobile, Wearable and Ubiquitous Technologies (IMWUT), Springer GeoInformatica, Elsevier Pervasive and Mobile Computing, CCF Transactions on Pervasive Computing and Interaction (CCF TPCI). In recent years, he was involved in the program or organizing committees of over 70 conferences and workshops. Especially, he served as program co-chair of ACM Ubicomp 2011, the 8th Chinese Pervasive Computing Conference (PCC 2012), the 12th IEEE International Conference on Ubiquitous Intelligence and Computing (UIC 2015), and the 6th National Conference on Social Media Processing (SMP 2017). In Oct. 2009, he founded the SIGSPATIAL China chapter which was the first regional chapter of ACM SIGSPATIAL. 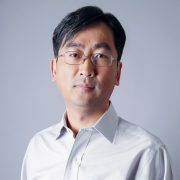 He is a senior member of ACM and the IEEE, and a distinguished member of China Computer Federation (CCF). Yu Zheng, Yukun Chen, Quannan Li, Xing Xie, Wei-Ying Ma, Understanding Transportation Modes Based on GPS Data for Web Applications, ACM Transactions on the Web, Vol. 4, No. 1, Jan. 2010. Xiangye Xiao, Qiong Luo, Dan Hong, Hongbo Fu, Xing Xie, Wei-Ying Ma, Browsing on Small Displays by Transforming Web Pages into Hierarchically Structured Subpages, ACM Transactions on the Web, Vol. 3, Jan. 2009. Zhigang Hua, Xing Xie, Hao Liu, Hanqing Lu, Wei-Ying Ma, Design and Performance Studies of an Adaptive Scheme for Serving Dynamic Web Content in Mobile Computing Environment, IEEE Trans. on Mobile Computing, Vol. 5, No. 12, Dec. 2006, p1650-1662. Xing Xie, Wei-Ying Ma, Multimedia adaptation and browsing on small displays, in S.T. Chanson, X. Tang, J. Xu Eds. “Web Content Delivery (Web Information Systems Engineering and Internet Technologies Book Series, Vol. 2)”, Springer-Verlag, Sep. 2005. Xing Xie, Gengxin Miao, Ruihua Song, Ji-Rong Wen, Wei-Ying Ma, Efficient Browsing of Web Search Results on Mobile Devices Based on Block Importance Model, The 3rd IEEE International Conference on Pervasive Computing and Communications (PerCom 2005), Mar. 2005, Kauai Island, Hawaii, USA. Xing Xie, Chong Wang, Li-Qun Chen, Wei-Ying Ma, An Adaptive Web Page Layout Structure for Small Devices, ACM Multimedia Systems Journal, Springer-Verlag, Vol. 11, No. 1, 2005. Patrick Baudisch, Xing Xie, Chong Wang, Wei-Ying Ma, Collapse-to-Zoom: Viewing Web Pages on Small Screen Devices by Interactively Removing Irrelevant Content, 17th Annual ACM Symposium on User Interface Software and Technology (UIST 2004), TechNote, Sante Fe, NM, Oct. 2004. Yiqun Hu, Xiangang Cheng, Liang-Tien Chia, Xing Xie, Deepu Rajan, Ah-Hwee Tan, Coherent Phrase Model for Efficient Image Near-Duplicate Retrieval, IEEE Transactions on Multimedia, Vol. 11, No. 8, Dec. 2009, p1434-1445. Xing Xie, Lie Lu, Menglei Jia, Hua Li, Frank Seide, Wei-Ying Ma, Mobile Search with Multimodal Queries, Proceedings of the IEEE, Vol. 96, No. 4, Apr. 2008. Xing Xie, Hao Liu, Wei-Ying Ma, Hong-Jiang Zhang, Browsing Large Pictures under Limited Display Sizes, IEEE Transactions on Multimedia, Vol. 8, No. 4, Aug. 2006. Xing Xie, Hao Liu, Simon Goumaz, Wei-Ying Ma, Learning User Interest for Image Browsing on Small-form-factor Devices, 2005 ACM Conference on Human Factors in Computing Systems (CHI 2005, acceptance rate 93/371=25.1%), Apr. 2005, Portland, Oregon, USA. Li-Qun Chen, Xing Xie, Xin Fan, Wei-Ying Ma, Hong-Jiang Zhang, He-Qin Zhou, A visual attention model for adapting images on small displays, ACM Multimedia Systems Journal, Springer-Verlag, Vol.9, No.4, 2003, p353-364. Hao Liu, Xing Xie, Wei-Ying Ma, Hong-Jiang Zhang, Automatic Browsing of Large Pictures on Mobile Devices, 11th ACM International Conference on Multimedia (ACM MM 2003), Berkeley, CA, USA, Nov. 2003.